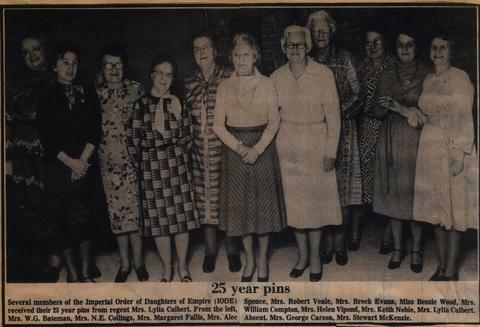 "Several members of the Imperial Order of Daughters of Empire (IODE) received their 25 year pins from regent Mrs. Lylia Culbert. From the left, Mrs. W.G. Bateman, Mrs. N.E. 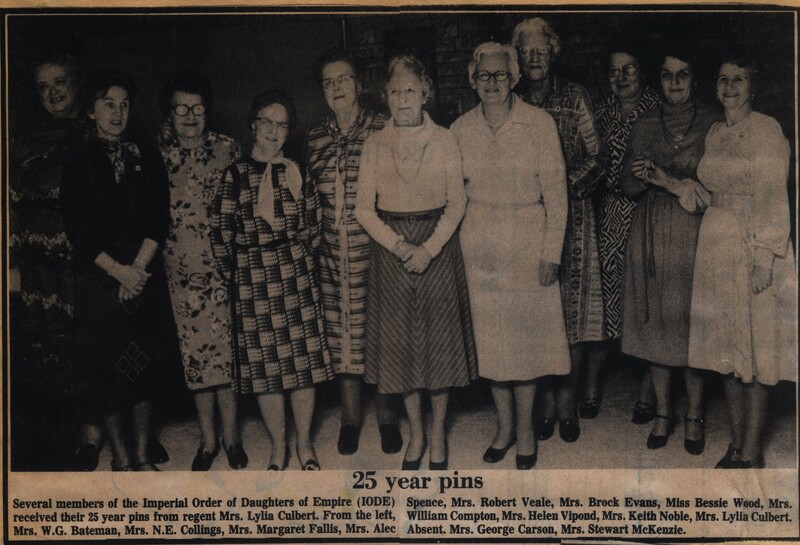 Collings, Mrs. Margaret Fallis, Mrs. Alec Spence, Mrs. Robert Veale, Mrs. Brock Evans, Miss Bessie Wood, Mrs. William Compton, Mrs. Helen Vipond, Mrs. Keith Noble, Mrs. Lylia Culbert. Absent. Mrs. George Carson, Mrs. Stewart McKenzie."